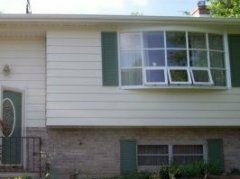 Total Service Pro offers professional painting in Saratoga Springs, NY for all exterior and siding types. No matter whether it’s new construction or a 200+ year old Gingerbread Victorian home, Total Service Pro can handle all your painting needs in Saratoga. 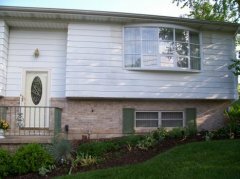 It is important to us that we provide a thorough and detailed written estimate to all our customers. Even though it may be tempting to go with the lowest bid, it all comes down the experience and dedication to provide quality service and workmanship regardless of the extra time it takes. Here at Total Service Pro Painting, we specialize in quality paint jobs for the discriminating Saratoga Springs home owner. Is it worth the cost to use High Quality paint in Saratoga? In almost all cases the answer is yes, it is well worth the extra cost to use a higher-end product and Consumer Reports typically backs this assertion up. While we have the experience and knowledge to properly prepare your homes surfaces. The best result is combining our experienced workmanship and a Quality Paint. This will yield the most longevity and best value for your dollar. Benjamin Moore, Sherwin Williams and Cabot’s are coating manufacturers we favor. Painting professionals know how these paints will spread and handle. Every manufacturer’s paint has unique characteristics that we have come to know and can use for the best result for your home painting project.